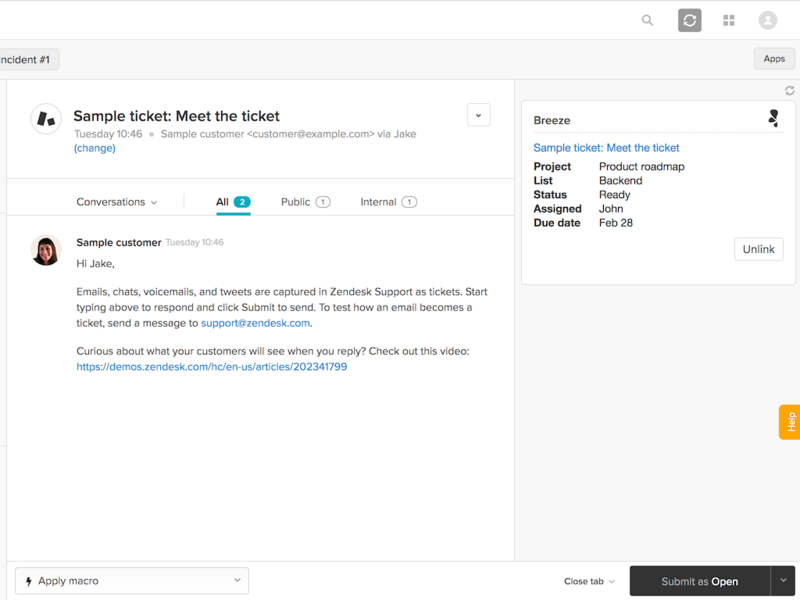 Create Breeze tasks from Zendesk tickets. Breeze is a simple visual tool for project management . It shows you what's being worked on, who's working on what, where things are in the workflow and how much time it took. 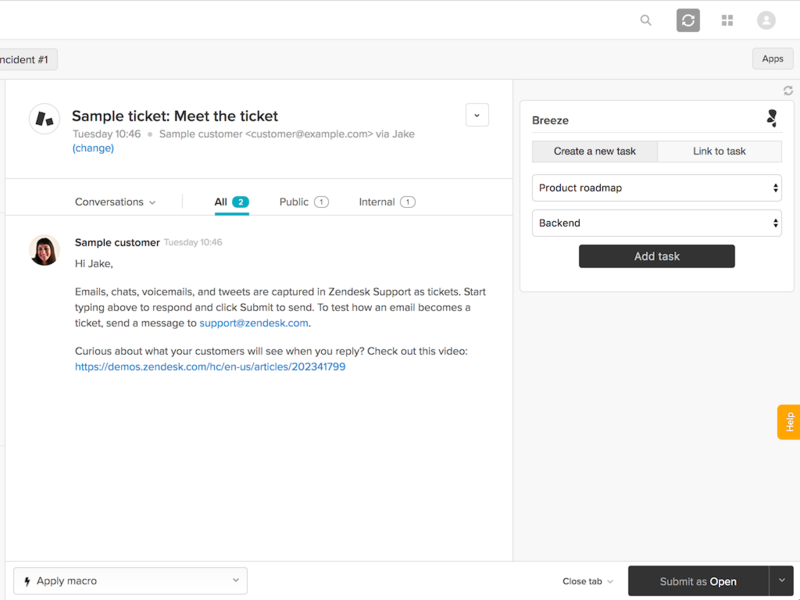 Once the Breeze App is enabled through the Zendesk App Marketplace, simply open a ticket and the Breeze widget will appear to the right. From there, you can add the ticket to an existing task, or create a new one. You can choose the project, list and the task where the ticket will be added. 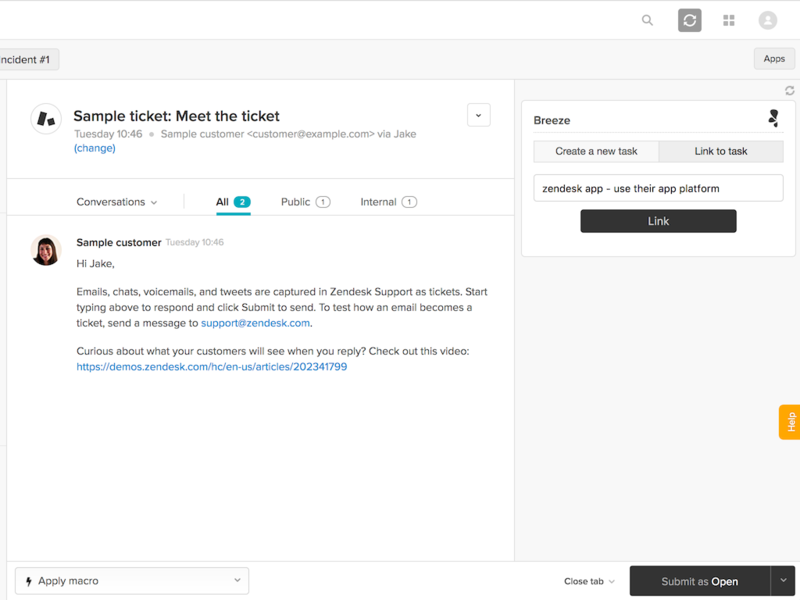 Go to the Apps Marketplace under the Admin panel in Zendesk. Find the Breeze App and click the Install button. Zendesk agents must be logged in to Breeze with their own accounts to use the App.